It's been a few weeks, but we bet no one's forgotten about the unfortunate mishaps that occurred during Metallica and Lady Gaga's fiery Grammys performance. However, Metallica have posted a video from the Grammys dress rehearsal, which saw “all cylinders firing just right.” See what the performance should have looked like below. 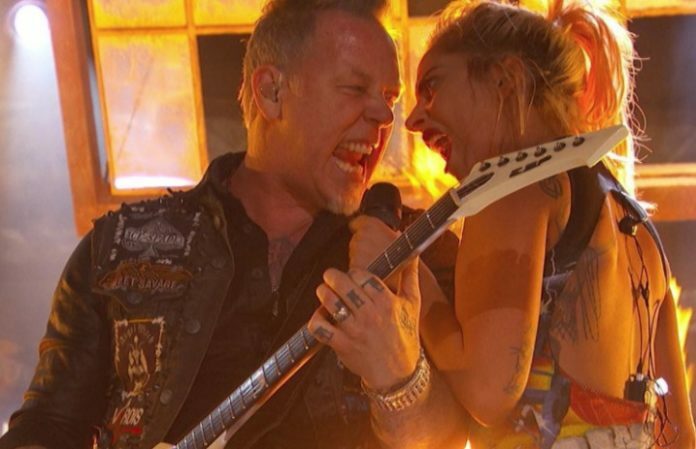 During the performance, singer James Hetfield's mic didn't make any sound, so he shared with Lady Gaga. “Perhaps you've heard by now that we experienced a slight bit of a technical difficulty when we hit the stage at the Grammy Awards with Lady Gaga a little over a week ago … hmm, would that qualify as an understatement?!? For those of you who missed it, we’ve posted the live broadcast version here. Metallica will be joined by Avenged Sevenfold, Volbeat and Gojira for a massive U.S. tour starting in May where they'll be performing songs from their latest album, Hardwired…To Self Destruct, as well as classics.